Back cover blurb: A VISITOR CALLS WITH A GIFT AND A MESSAGE FROM THE PAST… In 1802 Thomas de Quincey, a young man from a comfortable middle-class background who would go on to become one of the most celebrated writers of his day, collapsed on Oxford Street and was discovered by a teenage prostitute who brought him back to her room and nursed him to health. It was the beginning of a relationship that would introduce Thomas to a world just below the surface of London’s polite society, where pleasure was a tradeable commodity and opium could seem the only relief from poverty. Yet it is also a world where love might blossom, and goodness survive. 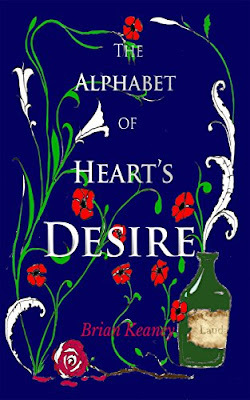 The lives of a street girl, an aspiring writer, and a freed slave cross and re-cross the slums of London in this novel about the birth of passion, the burden of addiction, and the consolations of literature. Thank You to lovereading.co.uk who sent me a copy of this novel in exchange for an honest review.